The small, family run Port house Quinta de la Rosa are the crafters of our Booths Port. Situated in Northern Portugal with breathtaking views across the Douro Valley, the quinta has been in the Bergqvist family for over 100 years. Originally given as a christening gift to Sophia Bergqvist’s grandmother Claire, Sophia and her father Tim restored the family business in 1988, with a dream of becoming a leading Port producer in one of the world’s finest wine growing regions. Immediately impressed, he ordered 30 cases and Quinta de la Rosa have supplied Booths ever since – we’re celebrating a 30 year partnership with Sophia and family in 2018. 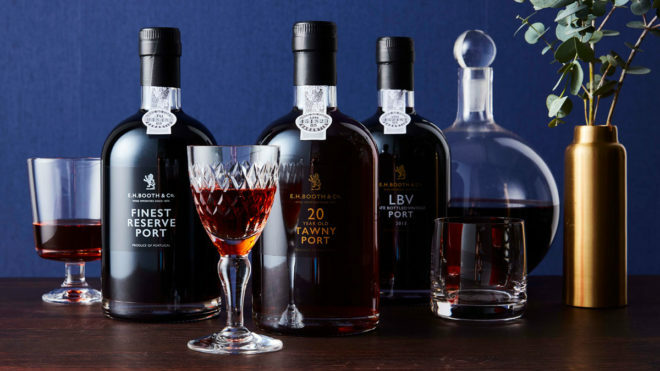 Our Finest Reserve Port is one to enjoy all year round, but even more so with a slice of blue cheese or a touch of dark chocolate. Booths Finest Reserve Port is made with grapes from Ports from each year that are blended for a consistent style, having been made very traditionally with the grapes being trodden in granite lagares. Great richness and aromatic complexity of almonds, figs and spices, this is beautifully silky and refined. Best served slightly chilled with a variety of dishes from chocolate to cheese. Opaque and deep ruby in colour with intense aromas of black cherry and blackcurrant. Rich and concentrated with a mouth watering finish, laced with sweet spices.